We all know how quickly clutter ends up on our counters, kitchen table, coffee table, anywhere it shouldn’t. 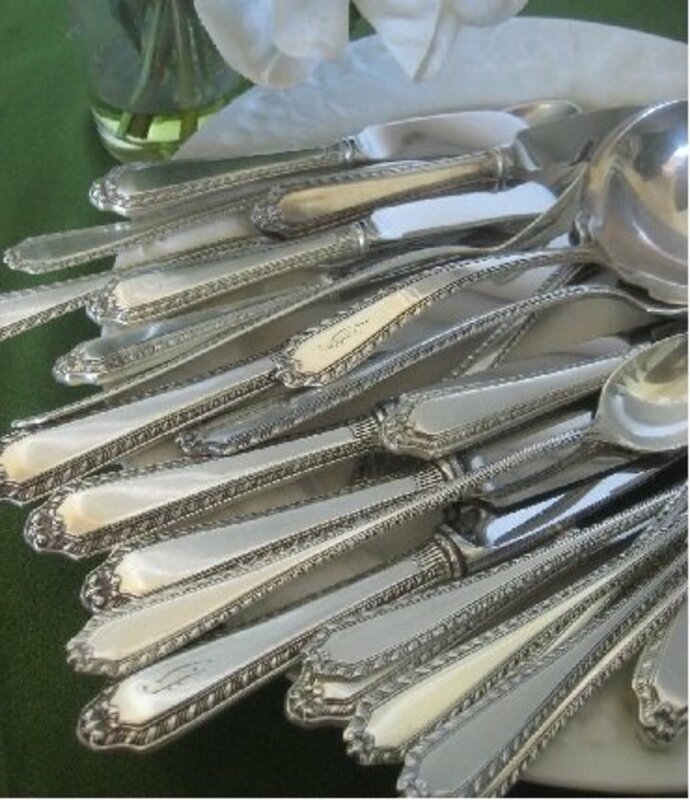 If you are like me, you put it away nicely in a basket or drawer and before you know it a bill is late or you have forgotten to get a gift for a shower you are invited too. We probably have all heard some of these answers before but it never hurts to have a quick read on getting your home back together especially as the holiday’s approach. One of my favorite things to do is invite some friends over for a weekend dinner. This is a great motivator for me. Another trick is to turn on some music and try to beat the clock. You will be amazed if you are working against a clock and don't have time to stop and be nostalgic. Put a basket at the foot of your stairs. I have one especially made for sitting on the bottom two steps. Put anything that needs to go upstairs in it as soon as you see it. Fill your dishwasher with all your dirty dishes and even washable toys, stove parts pottery, etc. I even put my hair brushes in the dishwasher after I remove all the stray hair. Next run a sink of hot sudsy water in your kitchen. Throw anything in that needs a good soaking but can’t go in the dishwasher. Don’t get excessively enthusiastic or you will wear out before you barely get started. Throw in a load of dirty clothes and get the laundry going. If you have a laundry sink this would be a good time to fill a bucket with hot water and vinegar for your floors. Then fill the sink with some warm water for any hand washables. My laundry sink is big so I like to keep my bath buckets I saved from when my babies were born and use less water. Same as the kitchen sink. The plastic protects my porcelain sink and anything gentle I might be putting in it. Now it is time to play catch up. Find a laundry basket you can walk around with and fill it with anything that is in the wrong room. You can even pick up decorations you want to put away for the season. I like to work on the downstairs first so let your basket go for now once you have cleared away the clutter. Work on one room at a time. A small cleaning basket filled with cleaners, gloves, plastic bags for trash and rags are great for carrying with you. 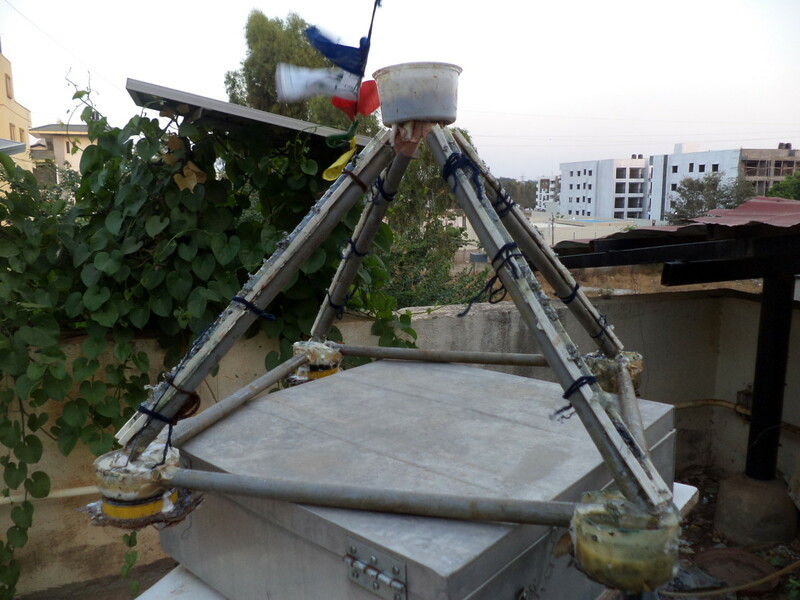 Work from the top down, although many people like to vacuum first as it is believed the dust settles later on the furniture. Make your bed or strip it and get the sheets in the laundry. Dust the ceiling fan. Remove all breakables from your dresser and spray an old sock or rag lightly with polish or use a slightly damp rag to thoroughly dust your dressers.Pick up any clothes that are laying around and hang them up. Organize your shoes and if you have some boxes available you can even put anything you don’t want anymore away for good will. Keep working this is not the time to get bogged down. Dust any mini blinds or shades. Shake out your curtains and wipe along baseboards. Take note if any furnace filters need to be changed. Make sure all lights are in working order. In my case we are moving into a new home and I don’t have room in my drawers for all seasons. So I am preparing a box of out of season clothes to move up to my married son’s closet. I have another box for good will or garage sell and will make a decision on that later. Most clothes don’t sell well so unless they were extremely expensive it is probably easiest to give them away. I like to use the two year rule of thumb. If It has been over two years since I wore something I get rid of it unless my size has just changed temporarily, if you know what I mean. Now it is time to vacuum. I like to use a clean bag so my vacuum works the most efficiently. If you have shoes under your bed move them to your closet. Head to the next bedroom and repeat the above process. Before I head upstairs I like to head to the kitchen den, and dining room. Wipe all light fixtures for dust. Next wipe down all my kitchen counters and check the cabinet s for finger prints and spills. I love microfiber cloths and have about 2 dozen I can grab and use at a minutes notice. When they and all your rags are ready to be cleaned run a hot water cycle with bleach on your washing machine to disinfect. Spray some oven spray in your oven and let it sit. Put a very damp rag in your microwave and run it on high for about 2 minutes. When you are done your microwave will wipe out with minimum of work Put away anything on the counters that your don’t use daily or almost daily except decorations. If it is a change of seasons use a basket again to put away the old for the new. Moving boxes are awesome for storage. Again try not to get carried away so you can finish in a day!!!! By now most of the clutter in your rooms are picked up. Remove breakables. I have not always done this, and paid later in tears over a special piece I have broken even when I was extremely careful. Now you can spray cleaner on your bathtub and or shower stall. Put some toilet bowl cleaner in the bow. Grab your vacuum and hit all your rugs in kitchen, den, living room and dining room. Go around baseboard where cobwebs like to hang out. If you need to sweep your kitchen and den do so now. 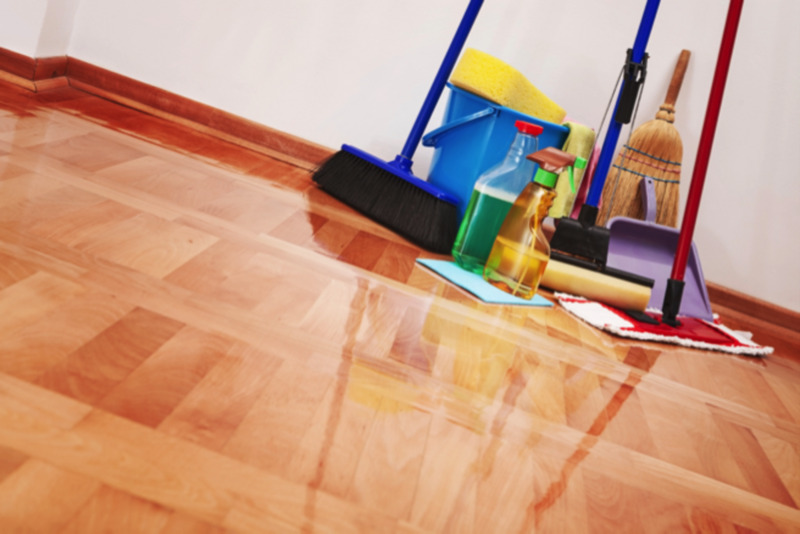 It’s time for the vinegar water work from cleanest area to dirtiest and make your floors shine. I am usually barefoot by now or have on my indoor shoes. It is probably time to switch your laundry and put in the next load of clothes. Put on your gloves and head to the oven. Take several wet rags and wipe the drips and grease out of the inside of your oven. I like to wear gloves when I clean bathrooms. This is a quick clean up so put any make up away. Throw away any makeup that is past it’s time. Remove breakables and wipe down counters, wipe your vanity lights and clean the sinks. Alcohol or vinegar will make chrome shine. Moving from clean to dirty wipe out your bathtub and/or shower stall. Get rid of empty shampoo bottles and toothpaste Be sure you have already vacuumed your bathroom cobwebs up by now. Change your bucket of water from vinegar to Lysol or an antibacterial cleaner. Mop your bathroom. Careful not to slip. Shoes may be necessary. Use one of the homemade soaps listed below. Head to the toilet. 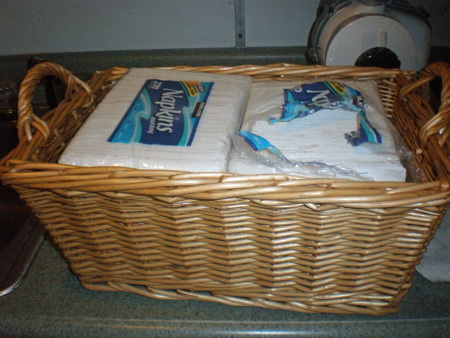 I like to grab a paper towel from my cleaning basket and wipe of the back to the toilet the lid and seat top. Now spray foam cleaner on the seat and scrub from clean to dirty, top of seat, under, all around brackets, down the front of the bowl down to the floor. You might want to change out your paper towel now. I carry a plastic grocery bag as trash and wipe well all around the base of the toilet and floor surrounding, usually very dirty, especially if you have boys. Finally did you know you can safe fully clean black mold in your shower with tea tree oil, or vinegar. I love using vinegar as a cleaner. My husband does not like the smell of the tea tree oil but if you mix 1 tsp in 1/2 cup water, spray on mold or mold prone areas and voila! The smell will dissipate and no need to rinse. You are done with the downstairs. Head up stairs with your baskets and later grab your vacuum. This is were a helper is nice. Lastly vacuum your stairs. Empty your Dishwasher and clean anything soaking in your buckets. Your laundry room is probably one of the dustiest of all so be sure and give it a good clean up. Make homemade cleaners with white vinegar, borax, plain dish detergent and water. Use a 16 oz spray bottle, add 2 Tbls .vinegar, 1 tsp, Borax and a few drops liquid dish soap. Fill with plain water. Mix 3 Tbls. Ammonia with 1 Tbls vinegar and 2 cups water. Use newspaper or microfiber rag. Mix 1/4cup Vinegar with 1/2 cup ammonia and 1/4 cup baking soda. Mix with 1 gallon hot water. These floors should be cleaned with 1/2 cup Vinegar and 1 gallon hot water. Mix 1/4cup vinegar, 1/2tsp. olive oil, add 1 3/4 cups water. When it comes to storing those boxes for later enlist your helper. A storage closet, craft room even garage will do. 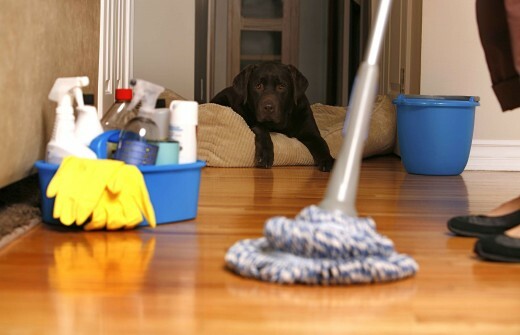 You are trying to feel good about your home today not do spring cleaning. Lay out clean towels. Fold your laundry and put it away. You can have fund decorating later. Sit back and enjoy your clean home for now. Share your tips and ideas on HubPages. Use this link!!!! Great hub, and very detailed! Thanks for all the tips! I need all the help I can get! I don't want to be a damper, but you put a section in your hub twice. I do believe it is titled "The Rest of the Downstairs". The duplicates are separated by "Down and Dirty." Other than that, the hub is terrific! Voted up, useful and interesting!